Keep Santa from touching the hot Australian sand for as long as you can! Occasionally a present will fall out of his sack, if you can click it before it disappears, you'll get bonus hits! This game is best played when someone you know gets a better score than you. 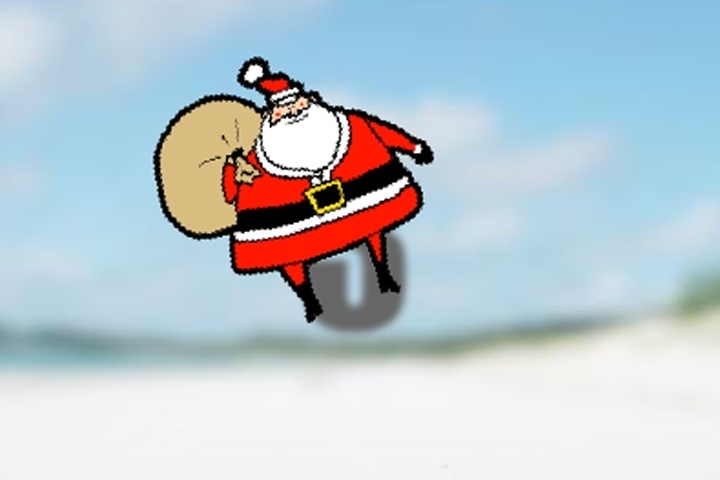 Click Santa to keep him in the air. Occasionally a present will fall out of his sack, if you can click it before it disappears, you'll get bonus hits! If you want to play Aussie Xmas games online you have come to the right place! GamesLoon adds new Aussie Xmas games every week. This is your game portal where you can find the biggest collection of free Aussie Xmas games online. Do not forget to rate our Aussie Xmas free online games while playing!